Cruises from Perth (Fremantle) open up a whole new world of cruising destinations. Explore the stunning beaches of Western Australia with short 1-5 night getaways or discover more of Australia’s iconic coastline with longer Australian voyages. Cruises from Perth can also introduce you to exotic international destinations including cruising into (and return from) Asia. 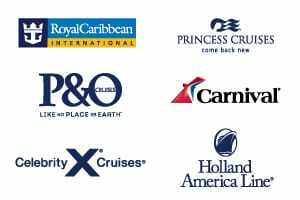 Scroll down for our most popular recommended cruises and to view the full list of cruises from Perth and Fremantle. Only cruises with remaining available cabins are listed. You may also wish to view cruises from Sydney, cruises from Brisbane, cruises from Melbourne or cruises from Adelaide for other options. Our cruise specialists are on hand to help with all your enquiries on cruises from Fremantle. Contact us or request a call back to chat with one of our friendly consultants.